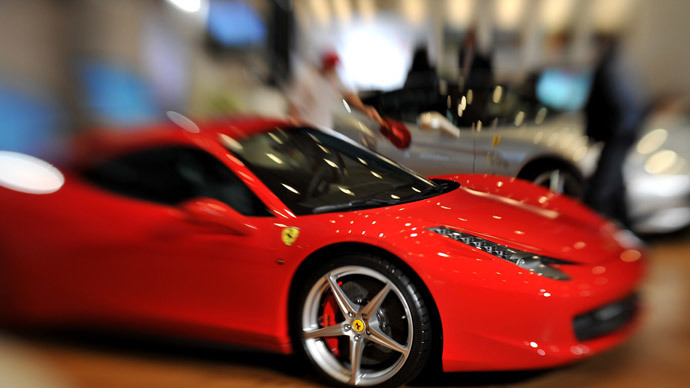 A police officer who supplemented his salary laundering hundreds of thousands of pounds from brothels was arrested after colleagues became suspicious when he drove a £170,000 Ferrari to work. Osban Iqbal, who was given a seven year jail sentence in September last year, was a serving police officer in Birmingham. The full extent of his sideline activities, which included drugs and prostitution, were only publicly revealed on Thursday after court restrictions were lifted. Iqbal, 37, was in the dock again on Wednesday and admitted three offences of misconduct. His “greed had been his downfall,” said Chief Inspector Martin Brennan from the serious and organized crime unit. Iqbal’s fellow police officers raised the alarm after he was spotted driving a luxury sports car to the Kings Heath Police station. Following an investigation by the West Midlands Police’s counter-corruption unit, it was discovered that Iqbal had bank accounts for two fabricated businesses through which he laundered “hundreds of thousands of pounds” from brothels in central London. Detectives also discovered the officer had attempted to access the police’s internal intelligence systems on behalf of a local religious leader. Birmingham-based faith preacher Nahiem Ajmal reportedly asked Iqbal to access the information for Sajad Khan. Both Ajmal and Khan were convicted of misconduct in public office on Wednesday, appearing at the same court hearing as Iqbal, who pleaded guilty to three counts of the same offence. The men are due to be sentenced alongside Iqbal in February. After reporting restrictions were lifted it could be revealed that Iqbal was jailed in September 2014 for possession of class A drugs with intent to supply, conspiracy to run a brothel and conspiracy to launder money. Brennan also said the prominence of the gang members’ luxury cars had been a clear giveaway. Inspector Tracey McGrath said the men had behaved “disgracefully” and that the police would take control of Iqbal’s illegally seized assets. “In this case we'll be looking to seize all the assets Iqbal acquired as a result of his criminal activity and his police pension too,” she added.